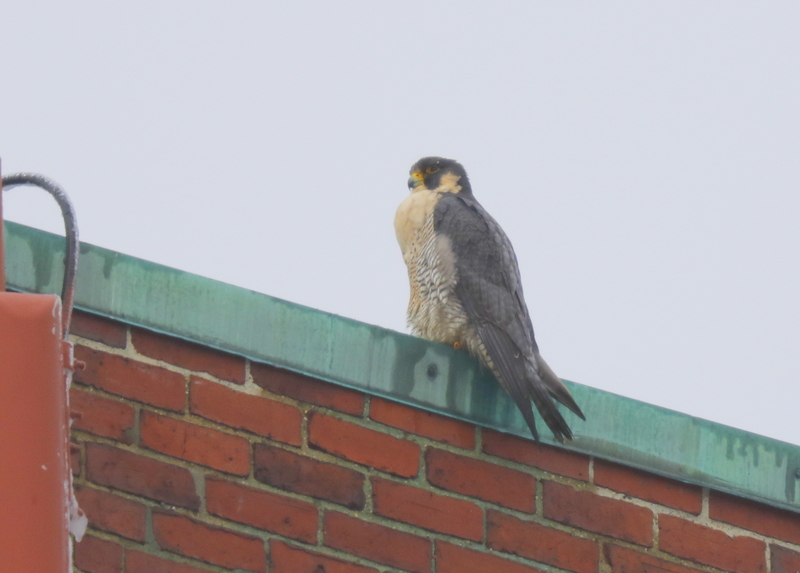 Made a pass through downtown Haverhill under dark overcast skies in search of the Haverhill Peregrine Falcons. Looked high and low and then pulled into parking lot and river walk overlook next to Haverhill Bank. Scanned the river, the west side of the bridge, and proximate rooftops. Finally found one of the peregrines perched atop the east edge of the Bank of America rooftop. It’s crop was bulging a bit, but otherwise unable to see leg bands during short visit.